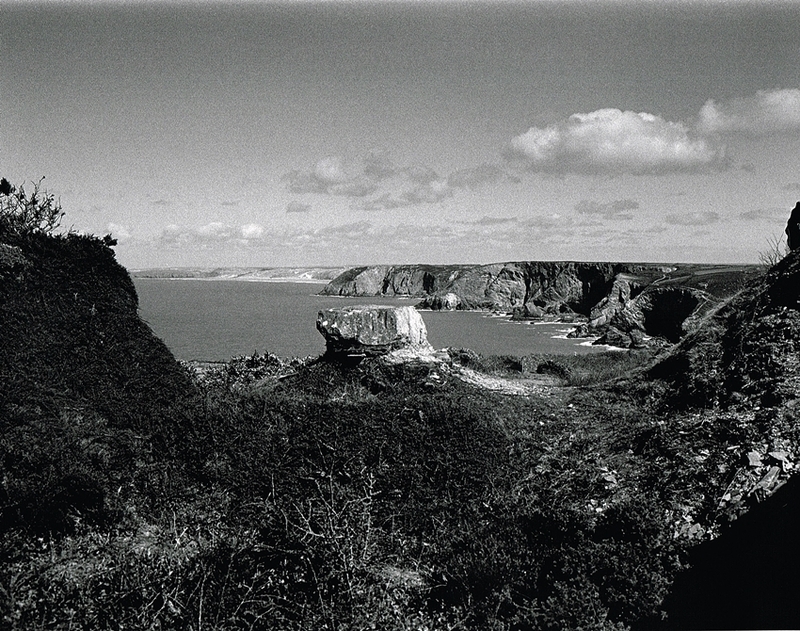 Polberro Mine was one of the richest and the deepest in the St Agnes area. It was well known for producing a very high grade of ore called Diamond Tin, this was so pure that it required little or no processing so it could be sent directly from the mine to the smelters. 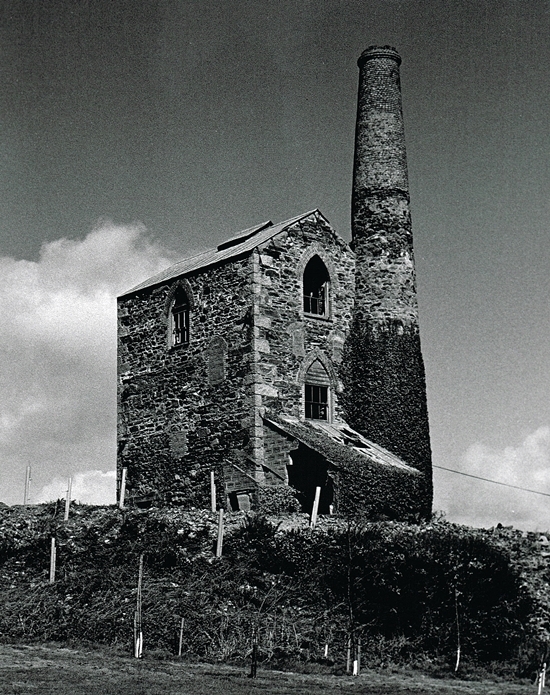 Like many other Cornish Mines Polberro was an amalgamation of several smaller mines which had worked as individual concerns such as Wheal’s: Kine, Pell, Turnavore, Prosper, Park and Squidler. A nice image looking at the front of the Engine House, this was built to house a 60″ pumping engine. The mine was operational as far back as the 1730’s, its boom time of production was from the mid 1830’s when production peaked at around 30 tons of Tin a month, at this time there were around 450 persons employed. 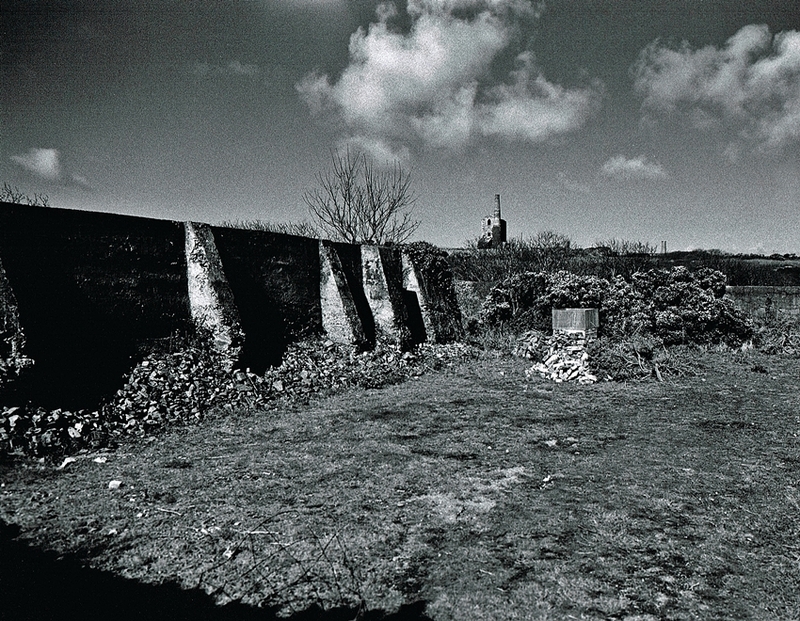 In 1846 the mine was visited by Queen Victoria, from then it was known as Royal Polberro Consols. A closer image of the Polberro Mine Engine House, the roof was still in great condition when I visited. Note the distinctive Gothic style windows. The price of Tin dropped in the 1870’s causing the closure of many mines in the area including Polberro. 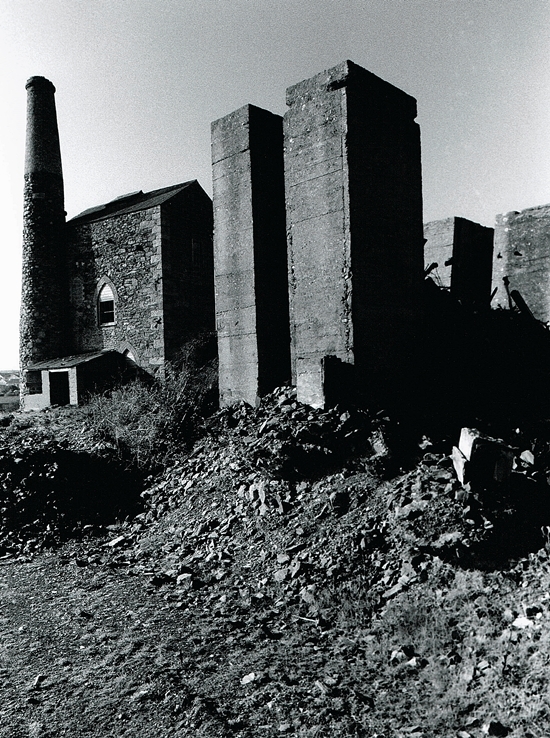 A re-working in 1886 dates the surviving engine house on Turnavore shaft which housed a 60″ pumping engine. 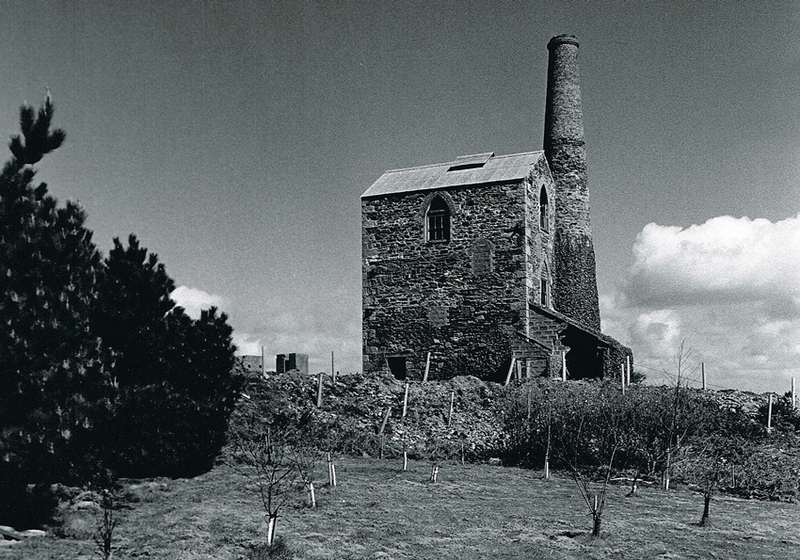 The mine again closed in 1895 after a merger with Trevaunance Mine. 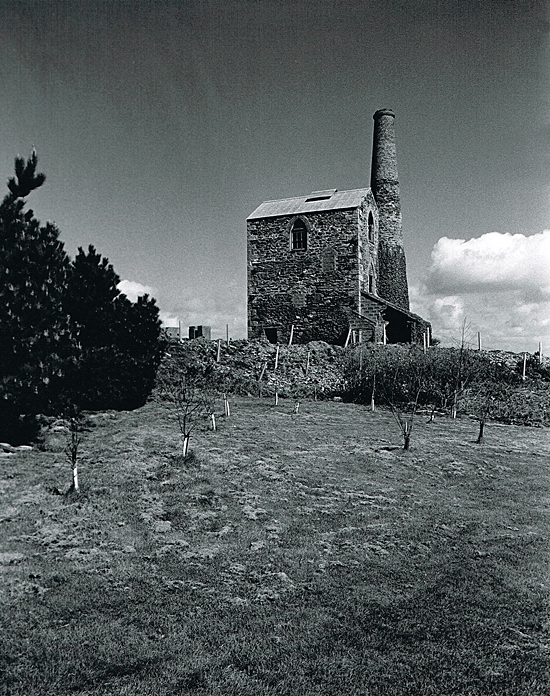 In 1937 a final re-working was attempted, new extensive dressing floors were installed and the engine house was converted for use as the miners dry, the shaft here was deepened reaching a final depth of 182 fathoms making it the deepest mine in St Agnes. 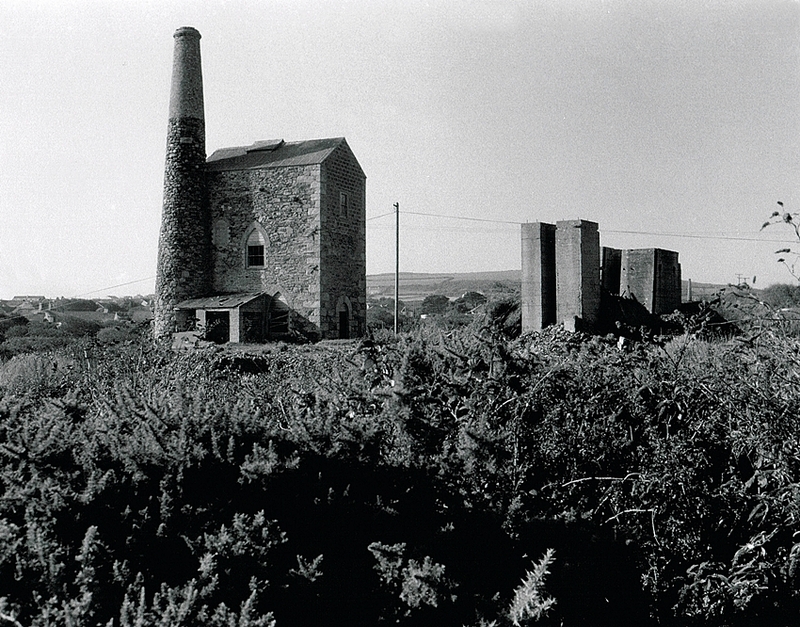 The mine closed for the last time in 1941, ending all mining activity in the St Agnes area. The engine house is in good condition still retaining its roof, the bob wall has been bricked in and the windows are gothic in character some still with the frames in place. The images on this page were taken in the mid 1990’s, the area is now on private land. The lean to building at the front of the house contained a heating boiler used when the building was used as a miners dry during the last reworking. 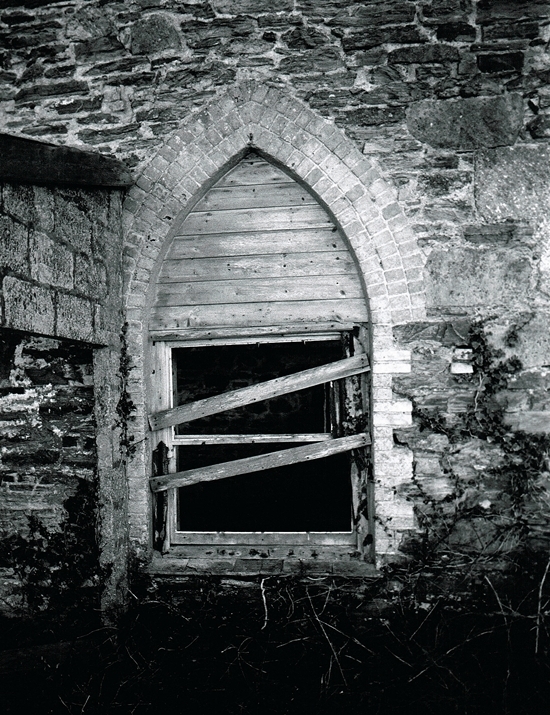 A detailed image of one of the Gothic style window in the Engine House wall. 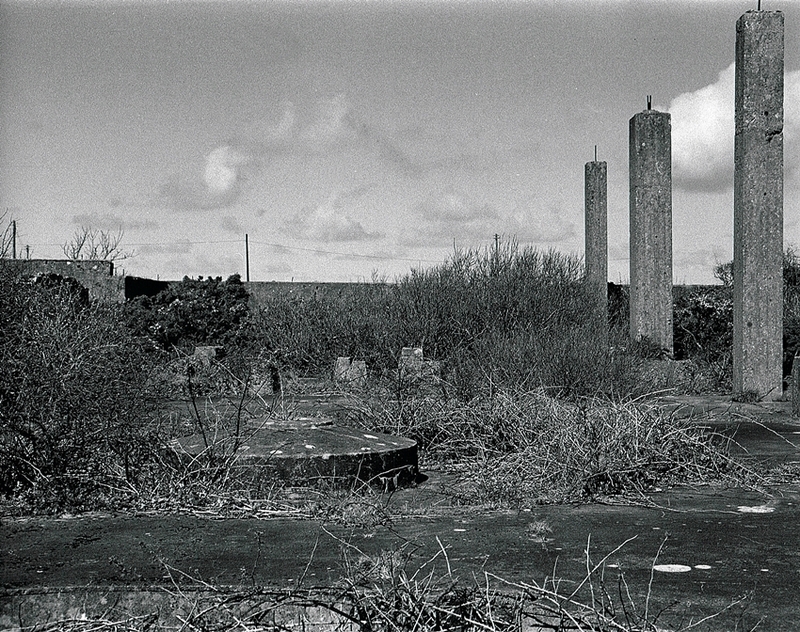 A view of the Engine House, the concrete pillars to the right supported a stone crusher and a grizzly screen. Polberro Mine Engine House, the rear wall was bricked up during the last re-working when it was used as the miner’s dry. To the right are the concrete supports for the stone crusher, a wooden gantry from the top of the shaft would have carried the ore here. Two circular buddles on the Polberro Mine processing floors, these date from the early 20th Century. The are is now very overgrown and on Private Land. The dressing fllors were quite extensive and well preserved, sadly much of this was lost when a wastewater treatment plant was built. 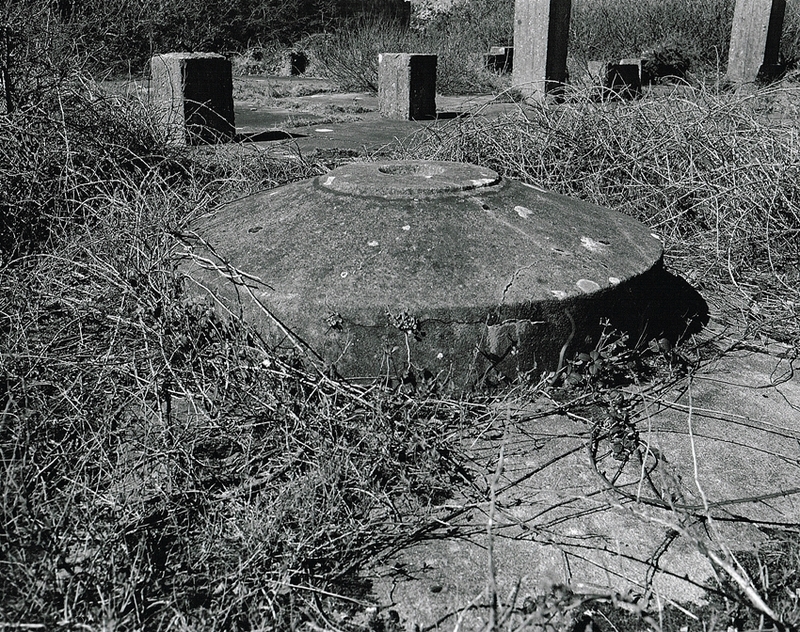 A closeup of one of the buddles, anything that still survives here is buried or hidden by vegetation. Mounting bolts for machinery around the shaft area. 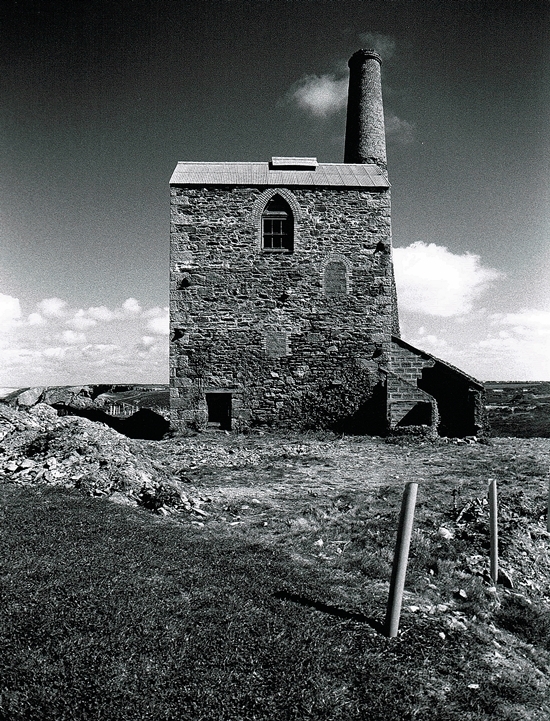 This is a beautiful Engine House overlooking St Agnes, I must have another look at it sometime. 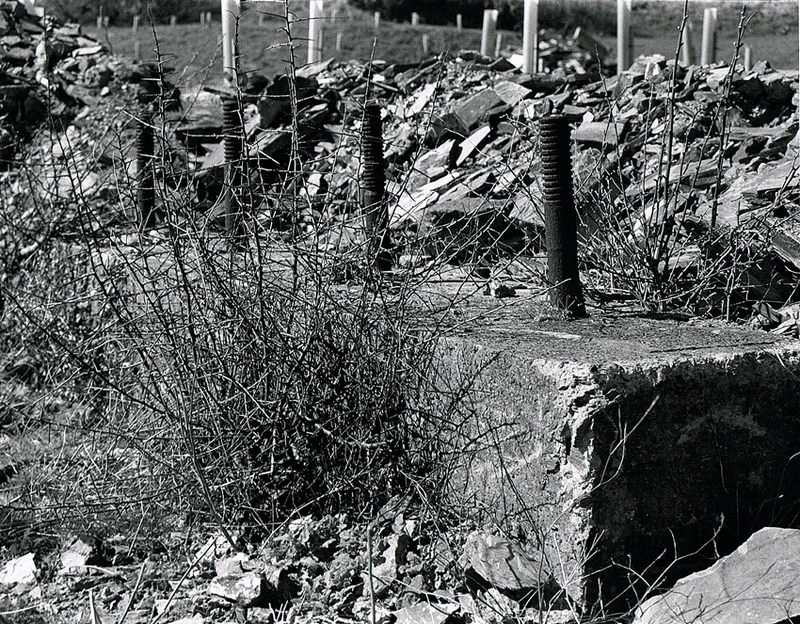 This is the site of the 36″ Stamps Engine house of Polberro Mine, all that remains is a granite bedstone for the beam. 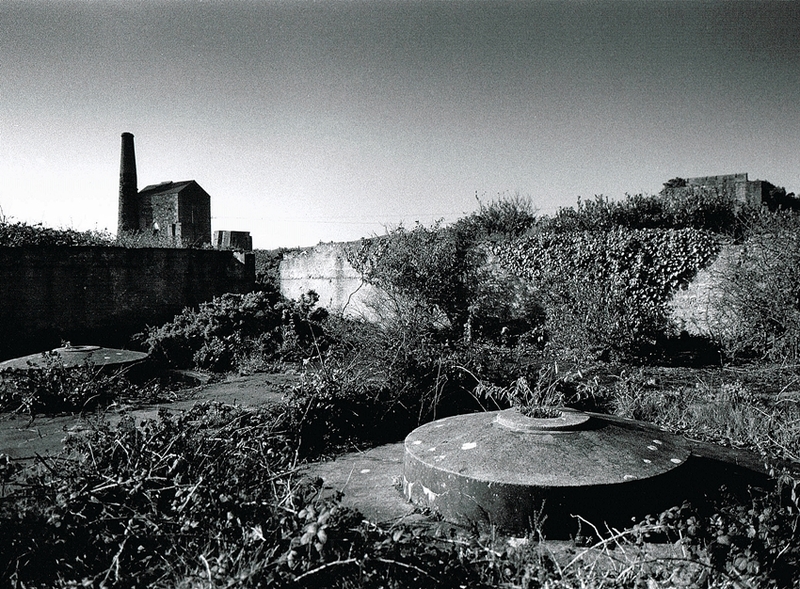 A final image of Polberro Mine, looking at the engine house on Turnavore Shaft, in the foreground are the remains of Wheal Friendly Mine’s yard. As I have already stated this property is on Private Land and should not be entered.